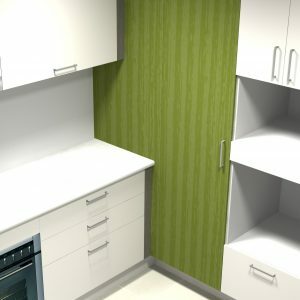 Backed into a corner with your kitchen storage? 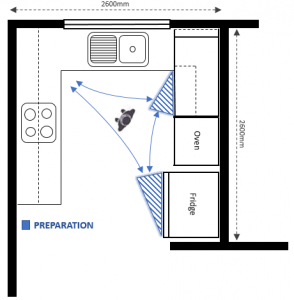 Here are some creative ways to deal with awkward spaces using the Blind Corner. 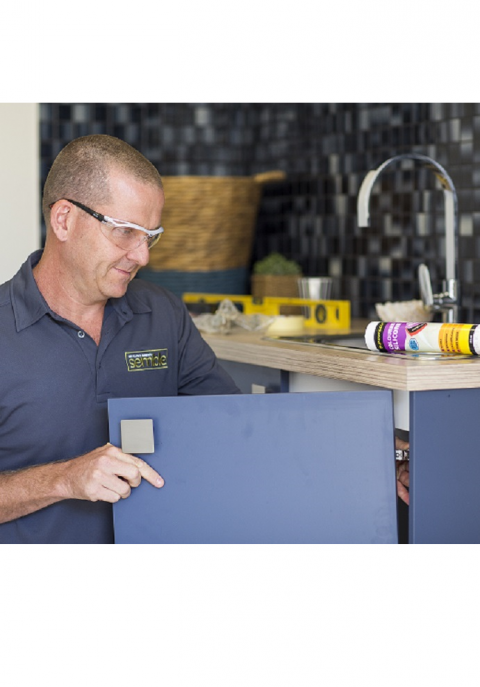 You may think they are called blind corner cabinets because you reach in them to blindly find items. Although seemingly true, this is not why they got their name. Simply put, this is essentially a 2-door pantry where a fixed panel replaces one of the doors and represents the blind side of the cabinet. This blind panel then extends through to the wall. 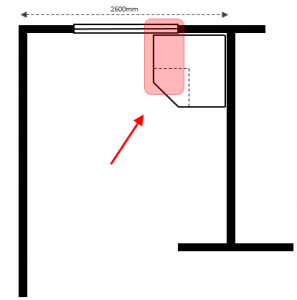 When Would You Use A Blind Corner ? We all want to maximise storage right? We all want a design that looks balanced. 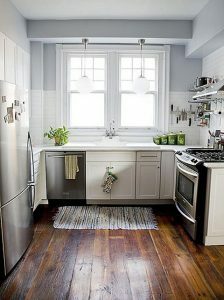 Particularly when we have a tight Galley / U-shape kitchen, we need to consider different solutions to make the space work. Every kitchen needs storage, and ideally we all want a pantry – somewhere to store every day consumables that we want close to hand. This can be a challenge in small or tight space. The client brief was for an open compact layout centred on the window but which had increased storage and was still functional in layout! 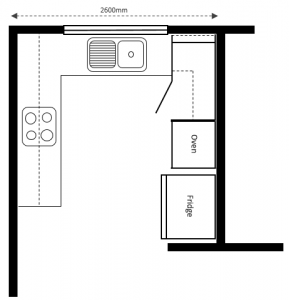 A small u-shaped room in a typical inner city cottage – with a window on the back wall and at only 2600mm wide this is a modest space to build a modern working family kitchen. Traditionally in Australia, the Corner Pantry has been used as the cornerstone of many kitchens. Boasting large deep shelves they are a great storage option but require both a large footprint in a corner as well as good access in surrounding passageways. Most Corner Pantries measure 1.0m x 1.0m and so immediately consume a lot of wall space which may not be available in a compact space. In our case, with a window on the back wall, this is simply not an option we can consider. 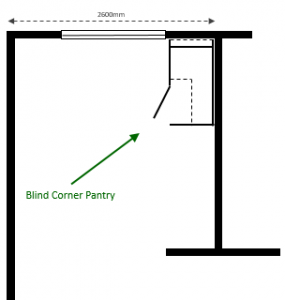 A Blind Corner Pantry is a straight cabinet which fits into one side of a kitchen corner. If you imagine it like a two-door cabinet with one of the doors screwed into the carcass so that other cabinets can be placed against it than you get the general idea. The key point here for any compact space is the different foot print. 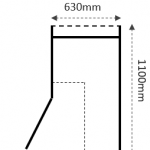 Rather than the square 1.0m x 1.0m of the traditional corner pantry, the blind corner pantry is a rectangle (0.6m x 1.1m) so the narrow end means we can work around a lot of tight spaces. 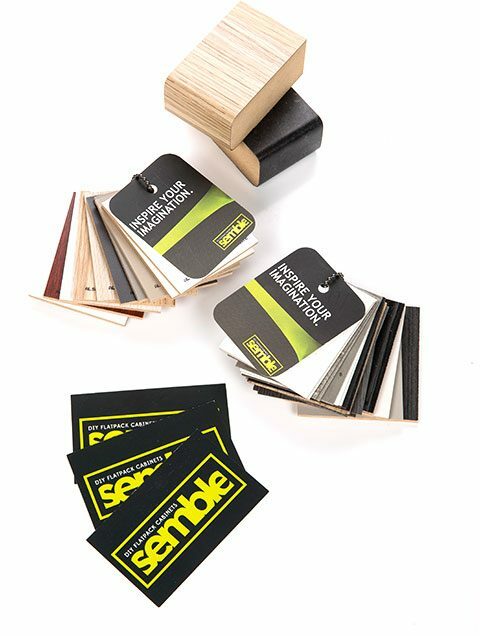 This is a simple and affordable option, and is relatively straightforward for any DIYer… While a common criticism is the lack of accessibility in the back of shelves; it proves to be a great solution for so many designs. Think about those bulky items or appliances (perhaps a mix master) which are only used once or twice a year than a back corner is a perfect option. 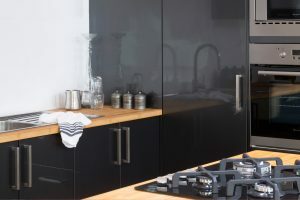 You will find the void at the rear of the blind corner cabinet (notionally 100mm) pulls the cabinet away from the back wall – while this is designed for ease of installation it coincidentally makes it easier to reach the back shelves. Design tip: the Blind Corner Pantry gives us the opportunity to cluster tall cabinets against one wall and then contrast this with colour blocking to achieve a subtle but striking colour scheme making a compact design look larger. i.e. try a warm white on wall and floor cabinets and contrast this with a warmer grey or timber tone over the tall cabinets for a contemporary and clean style. The complete design comes together. In this design, we have centred the layout around the Blind Corner Pantry and paired this with the Sink Cabinet under the Window. This has allowed us to add plenty of cabinets onto the east wall including a run of overheads. At first glance, we have achieved the client brief with an open and functional layout! Using the Blind Corner Pantry has allowed us to shoe this into the corner clear of the window and has still left room on the west wall for a 632mm oven / microwave tower, and a fridge overhead. 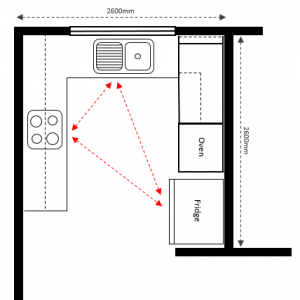 With space for a 850mm wide fridge no compromises are required here. 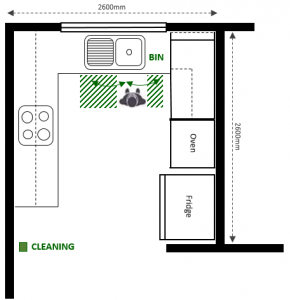 The Sink cabinet has a dishwasher space on left and room for a Bin cabinet on the right; whilst the hotplate leg allows for plenty of non-consumable storage and bench space either side of the cooking zone. The first item on our design checklist is the basic work triangle. While this is an old principle that many ignore, the basic tenant of maintaining a triangle where the sum of all three sides is at least 4.0m and not greater than 8.0m is a useful check to ensure we are not too tight with our layout. In this layout, here our design scales out at approximately 4.5m so for a relatively small space we have achieved a good basic & functional triangle. 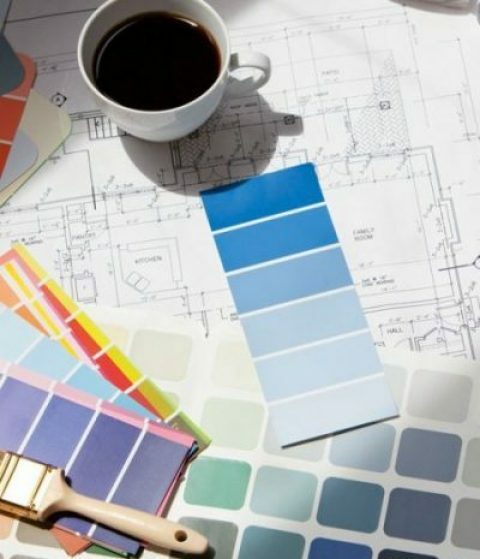 But family life is more evolved than ever now and we understand that looking at our layout as a number of task-specific work zones can be a much more practical method of evaluating our design. When thinking about work zones in your kitchen, think of the tasks you perform regularly: storing food, preparing meals, entertaining etc. A work zone contains everything you use to perform each task and we can group appliances and fixtures around this. In this image, here you can see the Preparation, Cleaning and Cooking zones have been marked out (roughly where we would stand). 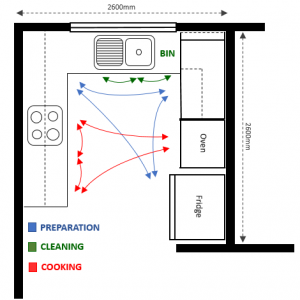 Each of the zones are clustered nicely and we can see that preparation and cooking are airly complimentary. 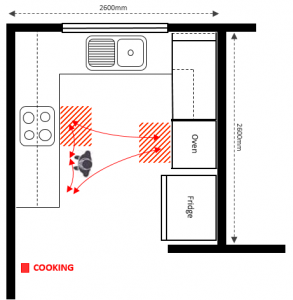 Would you swap the oven and fridge over in this design to delineate these work zones further? Do you think the Blind Corner adds design value in this case? Once we are happy with work zones the final check is over the accessibility of appliances and other cabinets. We are looking to see that when conducting an activity (for e.g. meal preparation) that we can access required cabinets or appliances easily and without bending ourselves inside out! You can see in these marked sketches that our layout would appear to be fairly functional and again we seem to be hitting the client brief. What do you think? Did we meet the client brief? Or do you have a different take on how to use this space?